2 weeks in Japan and there were so many places I wanted to visit but a 7-day Japan Rail Pass (giving us access across the country) would have set us back by $350 each! After some researching, I decided to go for one of the less popular JR passes – the JR East Nagano Niigata area pass, which would give us access to certain areas but at a much lower price. Information was limited about this pass. So I had to do quite a bit of research to ensure that the routes I planned for were all covered by the pass. We also intended to travel with large luggage (travelling light’s not our thing) so an objective of mine was to minimise the number of accommodations while visiting as many new places as possible. In general, our plan was influenced by two factors: (1) We wanted to be in Norikura on 2 Jan because that was the only day that the guesthouse we were keen on had vacancies; (2) we also wanted to attend Comiket, which was from 29-31 Dec.
We landed on Christmas Day and decided to catch the last day of winter illumination in Roppongi Hills. I had been to Tokyo a couple of times by then but had never visited Asakusa. 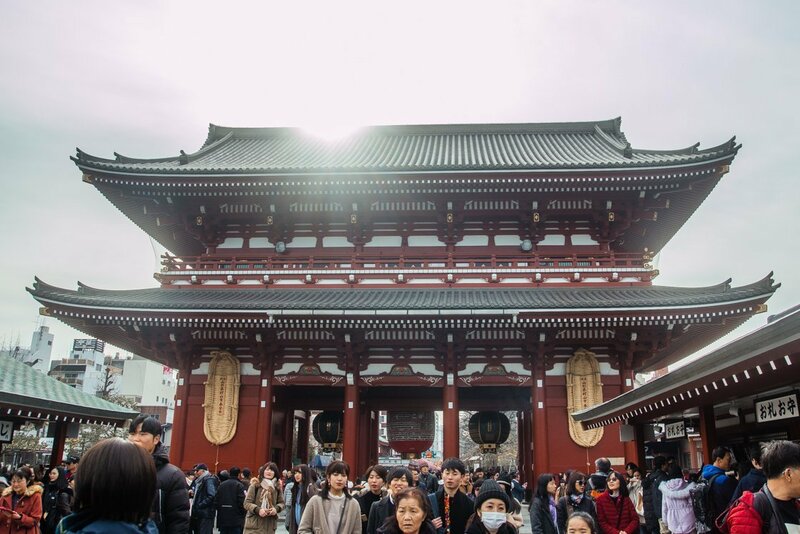 We decided to visit Senso-ji, the oldest temple in Asakusa, Tokyo. Needless to say, it was teeming with visitors. 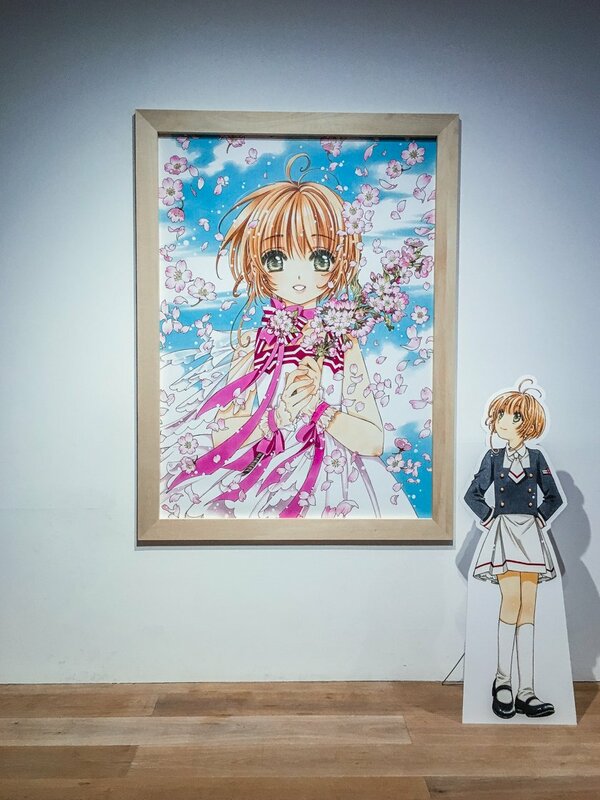 We went back to Roppongi Hills to catch the Cardcaptor Sakura exhibition but not without having Shake-shack burgers before that! After the exhibition, we took an hour-long ride to Mitaka to visit the Ghibli museum. Tickets have to be purchased in advance. Alternatively, if you’re not an exhibition buff, it will make more sense to plan a day around an area. 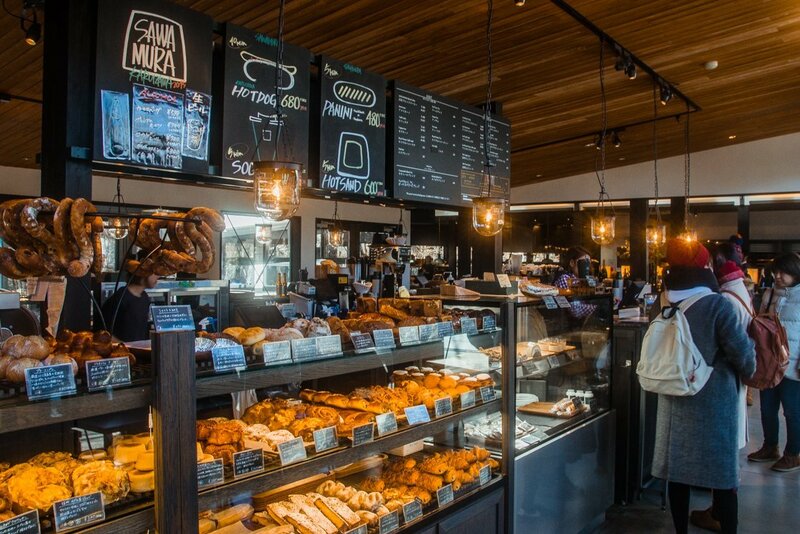 For example, you could start your day at Toyosu market, followed by shopping at Odaiba. 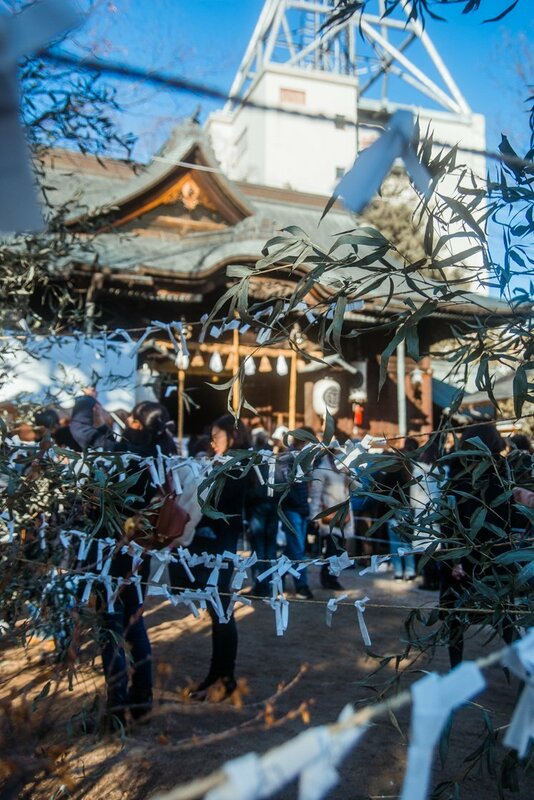 Then you head to Asakusa to visit Senso-ji before you end the day at Tokyo Skytree. 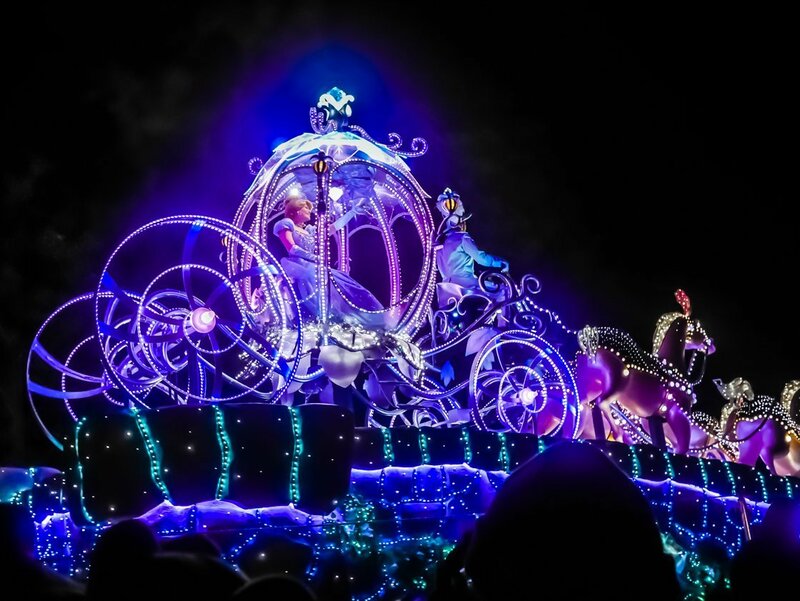 We stayed on for the night show where we got tickets (from the lottery) to view it from the central viewing area. We activated the pass for the first time to visit cities in Gunma which was less than an hour from Tokyo. First, we took a 90-minute bus ride to the Mizusawa temple in Shibukawa city. It was a small and tranquil complex. Lunch was Mizusawa udon at Tamaruya, an exquisite traditional Japanese restaurant. 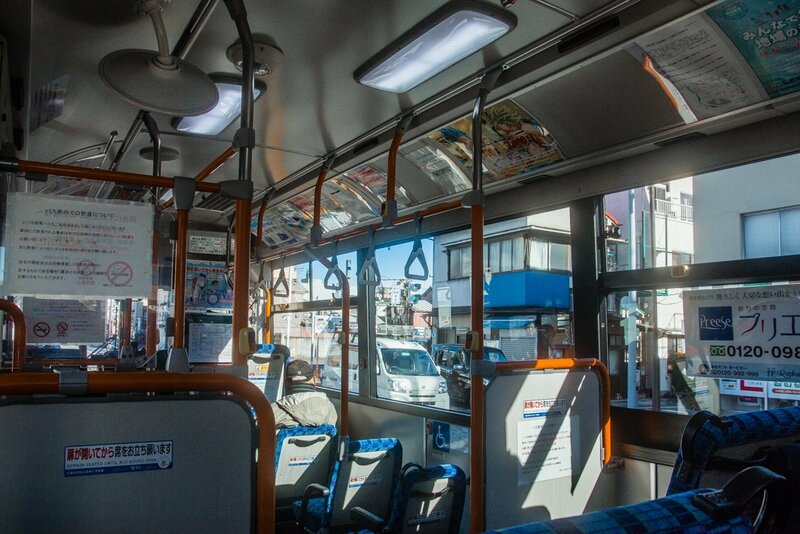 We headed back the same route to catch another bus to the Byakue Dai-kannon in Takasaki. 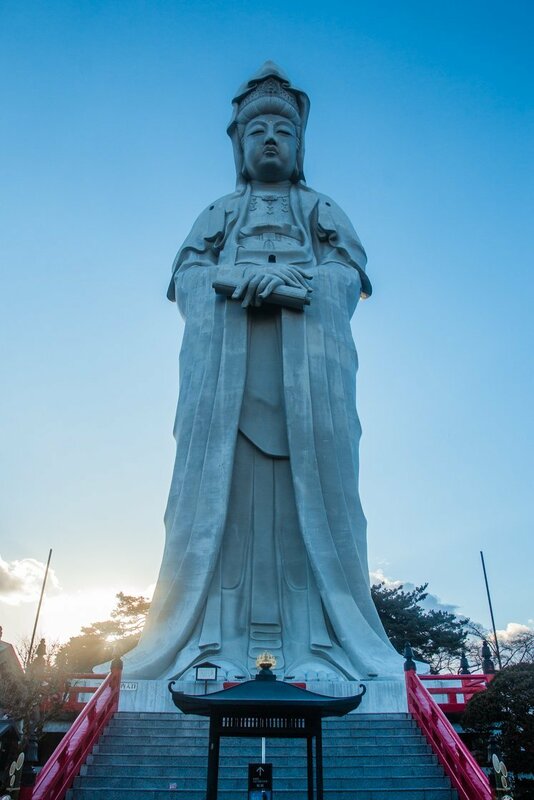 The highlight of the complex was without a doubt, the Dai-kannon, a 41-metre Goddess of Mercy statue. But only just that. 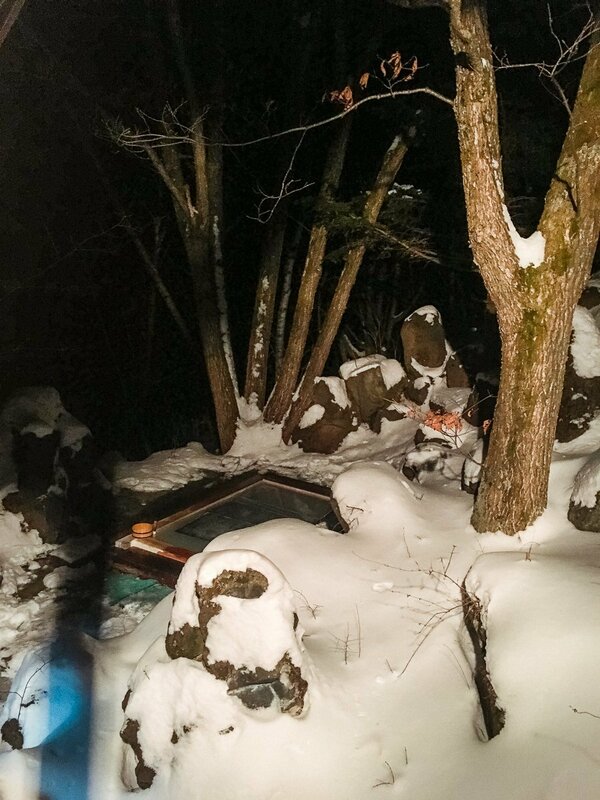 Gunma is known for her hot springs. 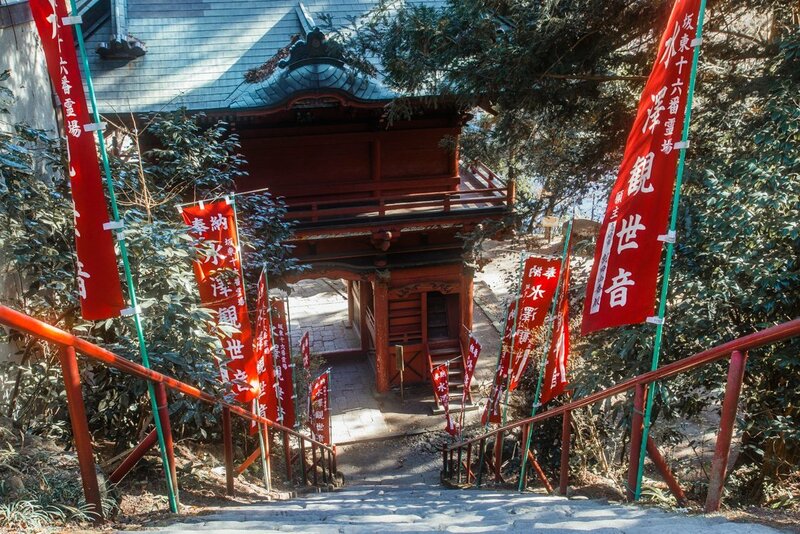 An alternative would be to skip the Byakue Dai-kannon and take the bus from Mizusawa temple down to the Ikaho onsen area instead. You can stay a night there or check out the day baths. We started our day in Akihabara with an hour-long queue for the Macross VF-1J toy. Then, we headed to Comiket which was at Tokyo Big Sight before ending our day in Odaiba. 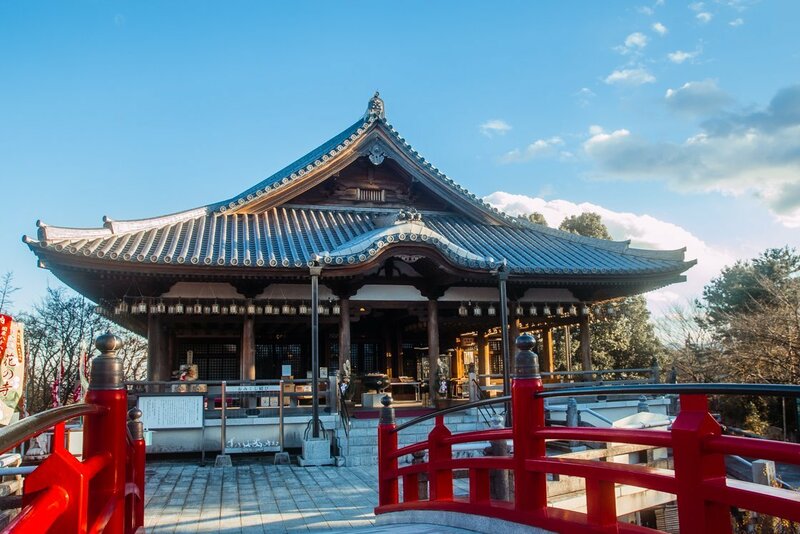 If you’re not that much of a geek, an alternative could be to do a day trip to Lake Kawaguchiko where you get a good view of Mount Fuji. The bus ride takes about 100 minutes one way and cost S$24. The next day, we took the train to Karuizawa, which was covered by the JR pass. We left our luggage at the luggage storage office before we left the station and walked over to the Kumoba Pond. The walk was lovely in the crisp winter air. From Kumoba pond, we stopped by Sawamura, which served delicious pastries and bread, before wandering around the old town. We wanted to visit Karuizawa for the stone church and Harunire Terrace but when we got to Karuizawa station, we realized that the shuttle bus schedule (for Harunire terrace) wouldn’t give us enough time to visit the places adequately and we could risk missing the collection of our luggage before the counter closed at 7 pm. In the end, we took the train back to Kyu-Karuizawa and hit the factory outlet stores for the rest of the night. We got on the Shinkansen (covered by the JR pass) to Nagano and spent the night there. 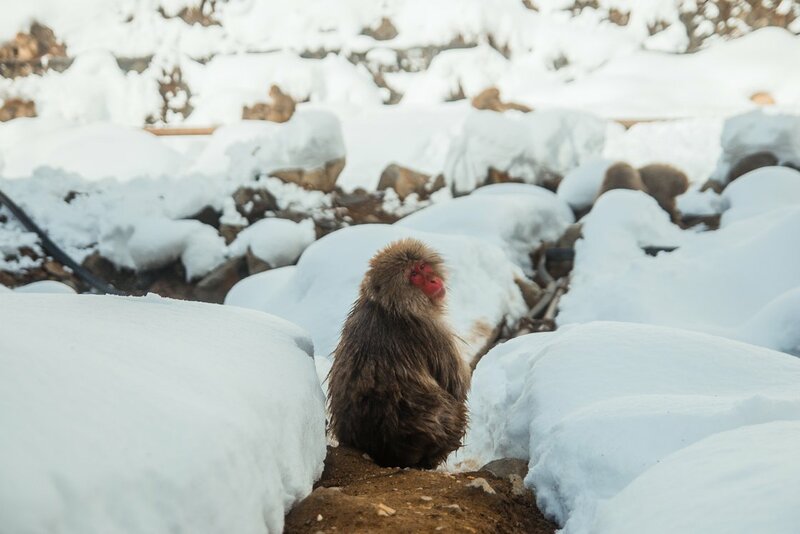 Nagano wasn’t much of an interesting place for us so we ventured out to Jigokudani Snow Monkey Park. We bought the two-day snow monkey pass which covered the transport to-and-fro the park and the entrance tickets for about S$42 each. After alighting from the bus, we trekked for almost 2 hours to reach the onsen where the monkeys roamed. The hike usually takes less than an hour but we were extra careful because of the slippery grounds and fenceless routes. 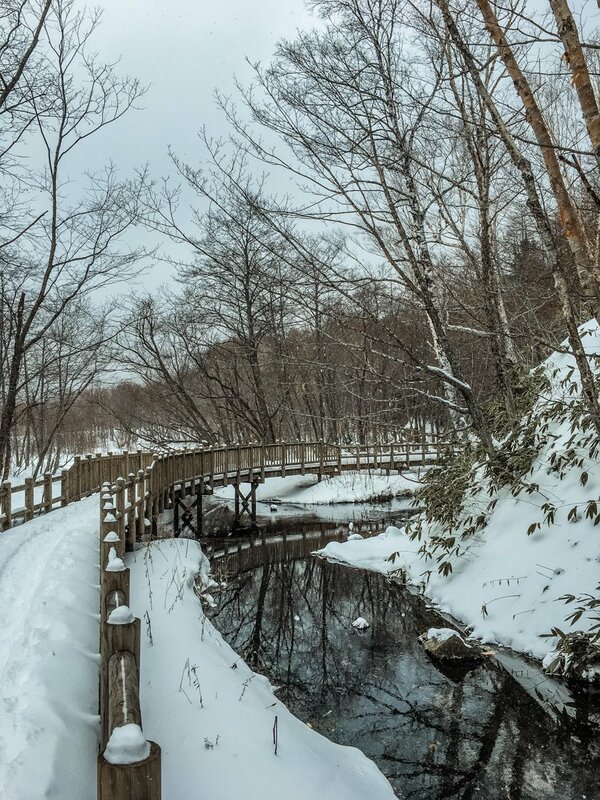 The initial plan was to visit Ryoo ski park on the way back via Yudanaka station but we would miss the shuttle bus back from the ski park to the station since we spent a lot longer than expected at the snow monkey park. You can still visit Ryoo ski park if you start your day earlier (for reference, we departed from Nagano at 10). The next day, we moved on to Matsumoto using the JR east pass. 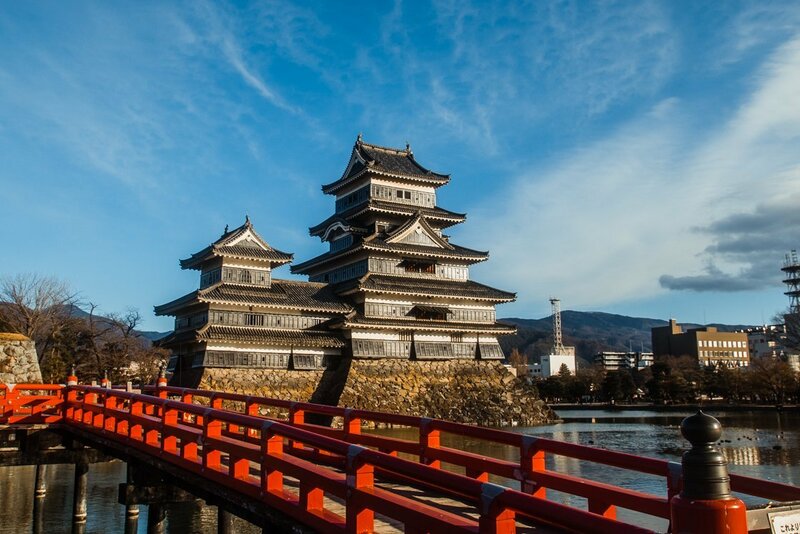 Other than roaming the streets and the modest Alpico mall opposite our hotel, we took a stroll around the Matsumoto castle and took in the view from the outside. It will be more value-for-money if you visit the Daio wasabi farm on the same day as the train ride to Matsumoto as the line to the farm is also included in the JR pass! The morning was spent hopping at Parco. 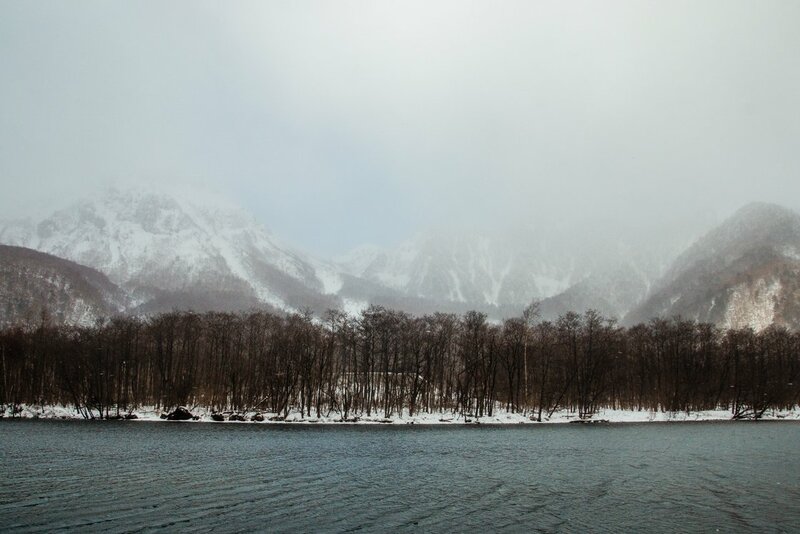 Then we bought the round-trip ticket to Norikura Kogen and spent the night in the hot springs over at Guesthouse Raicho. 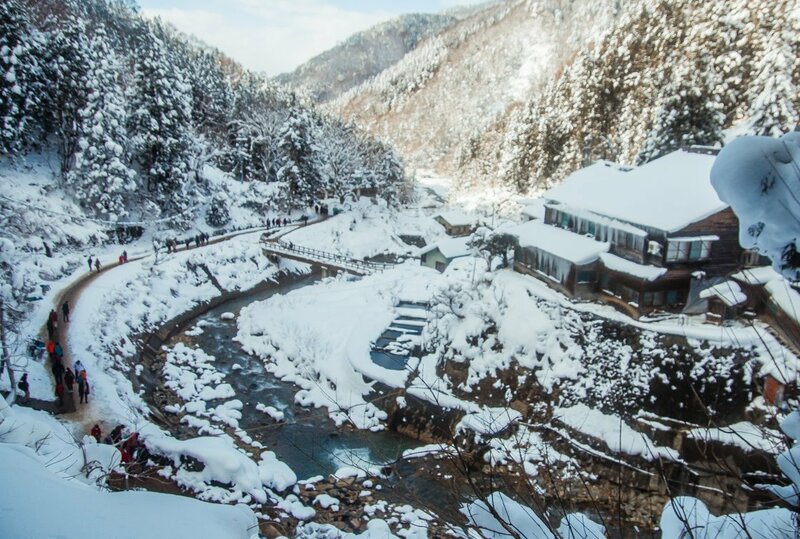 We booked a half-day tour with Guesthouse Raicho to Kamikochi. 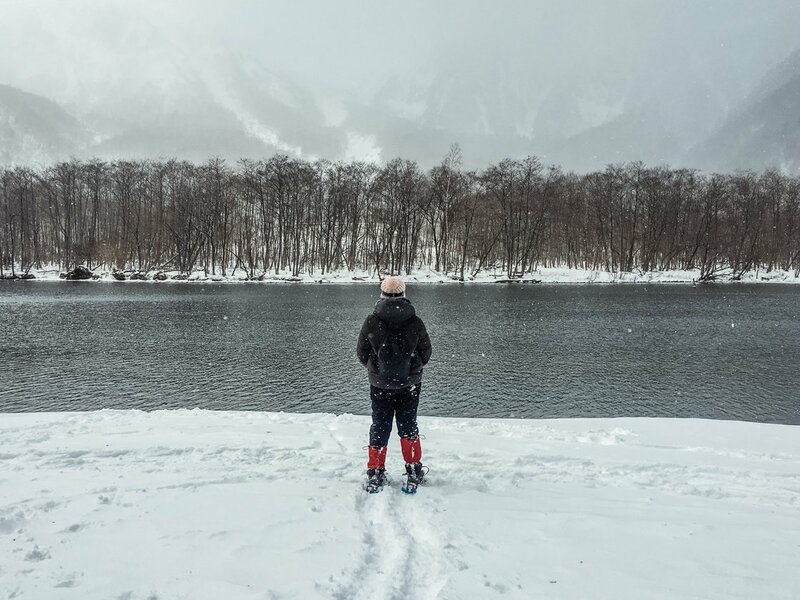 From May to October, Kamikochi can be easily accessed by car and bus but in winter, the tunnels leading to the place is closed off to vehicles. The guesthouse drove us to the start of the tunnel which took about 50 minutes. 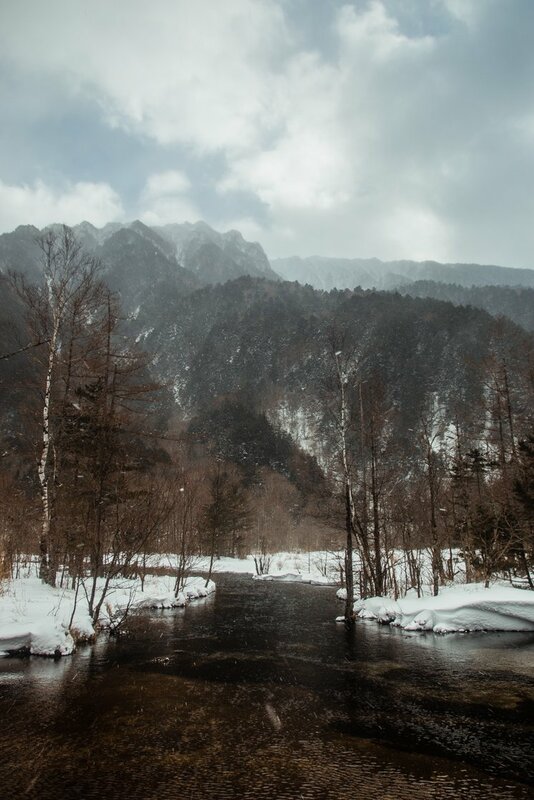 From there, we traversed the 1.3 km-long tunnel which was slightly inclined, then snowshoed to some of the main sights in Kamikochi. Hardly any locals were around and definitely no tourists as far as I could tell. The tour cost about S$80 per person and it was definitely worth it! We then took the same route to Matsumoto station to catch the bullet train back to Tokyo (with a stopover at Nagano). The bullet trains were, needless to say, covered by the JR pass. 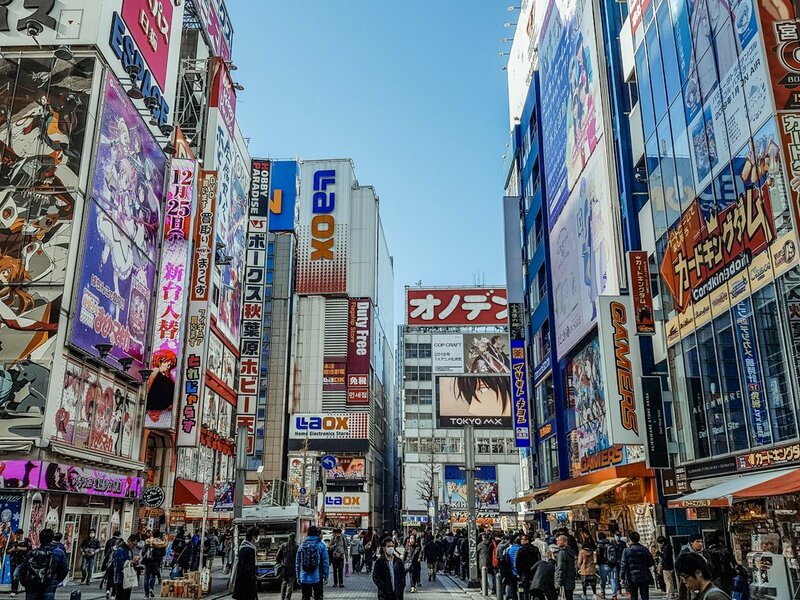 I wouldn’t bore you with the details of what we did in Tokyo since we mainly just shopped and ate our way through random places without much of a plan. 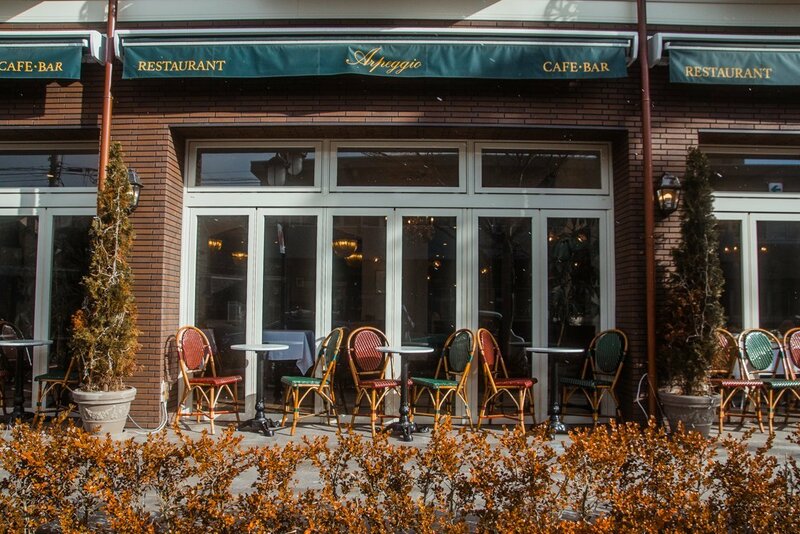 We also enjoyed the lesser-known areas such as Jiyuugaoka and Daikanyama. If you’re up for another day trip, the JR East pass also covers the routes to Nikko and Niigata. Niigata would have been extremely worth it since the tickets to Niigata alone were equivalent to the cost of the JR pass. I would recommend Nikko though, since the journey is shorter and would have been more manageable as a day trip. Instead of using the last day of the pass on a day trip out of Tokyo, we used it on the train ride from Akihabara (where we were staying) to Narita Airport via the Narita Express (N’EX). We saved about $151 each with the JR pass! I think some of the train tickets were more expensive than usual because we traveled during the new year peak period but the JR pass was kept at the same price, so even more savings for us! This itinerary really isn’t quite optimised to make full use of the pass. 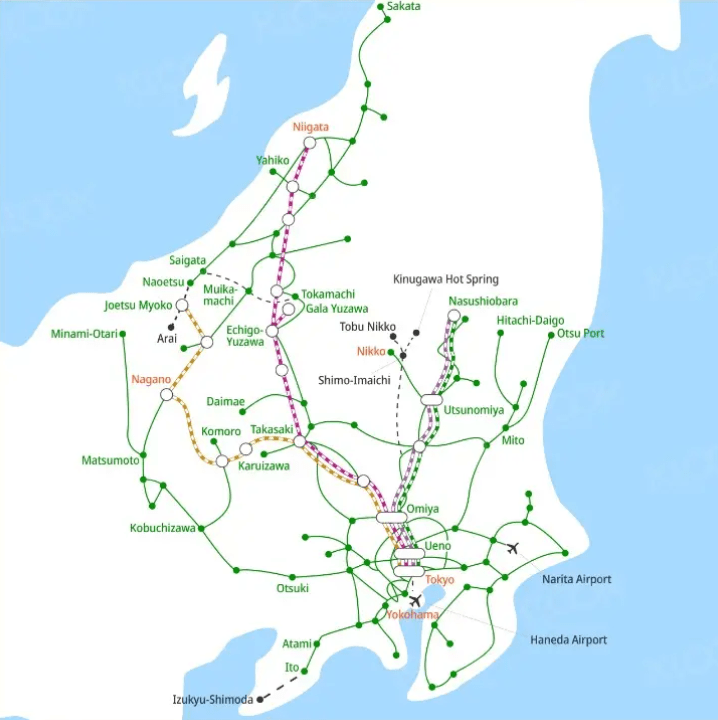 The best would have been to do Tokyo – Nagano – Niigata – Tokyo. But if you’re not up for so many places in one trip, then try out my itinerary! 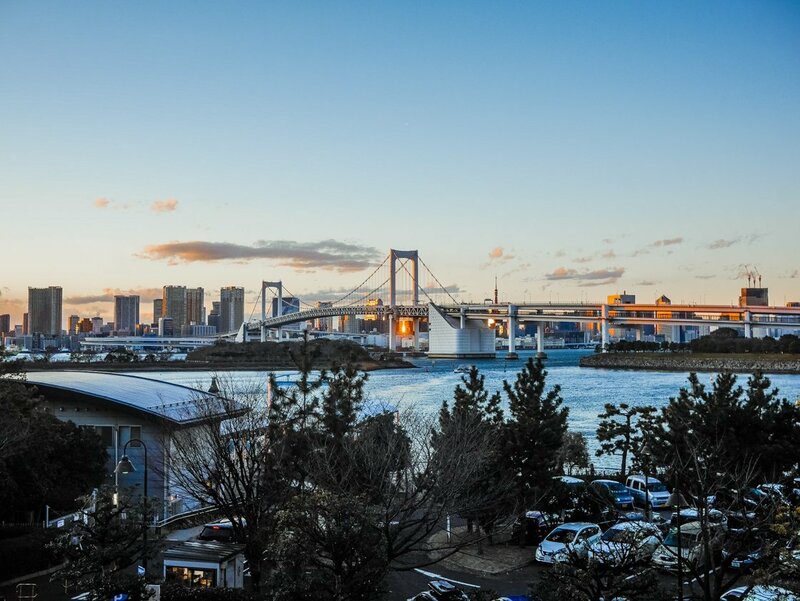 If you are arriving and departing from Tokyo for a long trip and intend to venture out in the middle of the trip, book the same hotel in Tokyo. We managed to deposit the bulk of our luggage at the hotel and travelled relatively lighter outside of Tokyo. Alternatively, you can deposit your luggage in the lockers they have in train stations but you’ll have to pay for those. Get $35 off with promo code “KLOOKGSS35“. Code expires 30 April. 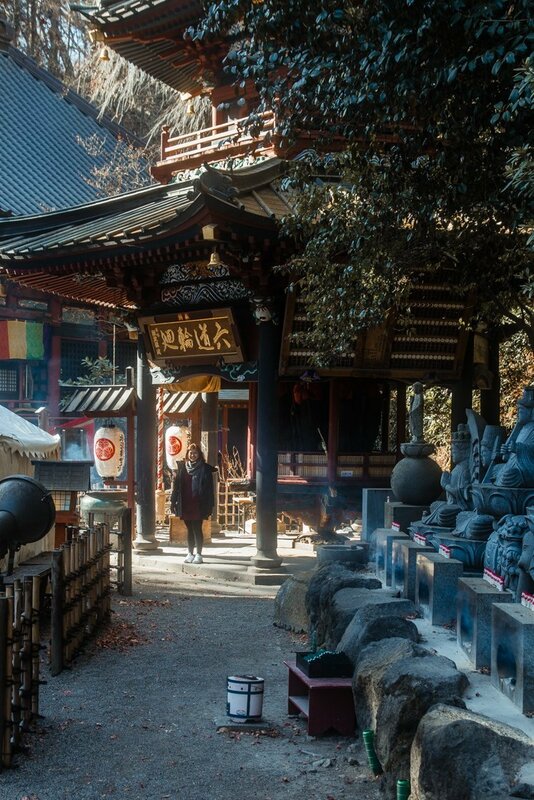 Japan has been on our go-to list for a while now and this is such a perfect post to help us start planning our trip. WOW! 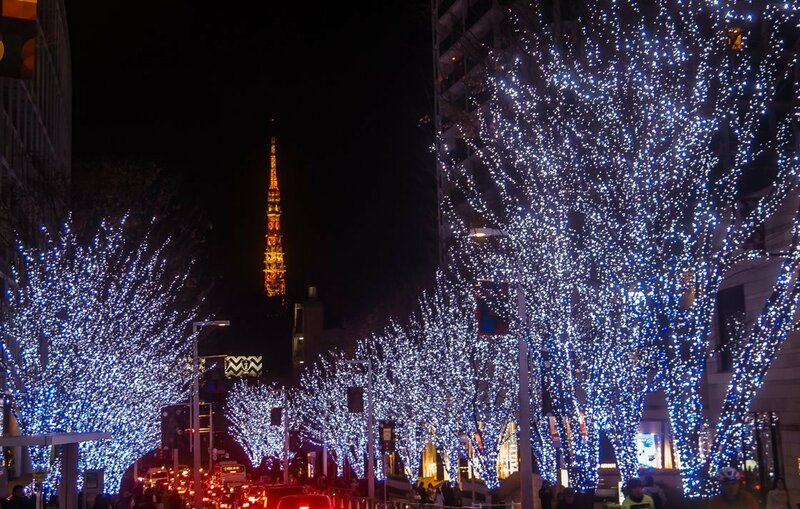 You saw so much of Japan in 2 weeks, this is definitely the trip we would want to do! That bullet train really isn’t as expensive as I thought either. Great post! I really hope to visit Japan one day. I’ve been fascinated by Japan’s culture ever since I was in school, and even my BA paper was about it. My fiance visited and it’s one of the holidays he remembers as among his fondest. Looks like an amazing trip, you have some great pictures. My son really wants to go to Japan and there are some places here I would have never have thought of. Such a useful article! I’ve only ever been West of Tokyo and I loved it so much but am now dreaming of the North/East. My bucket list item is to see the Snow Monkey Park. 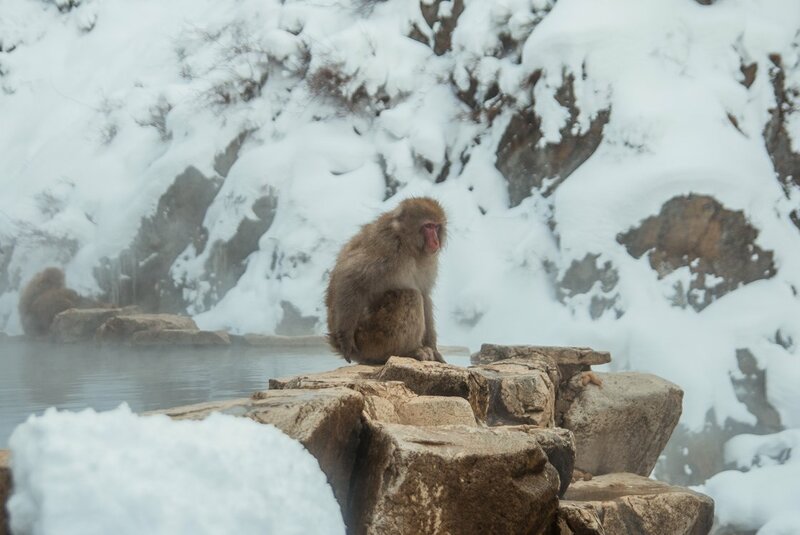 I saw the monkey park in Arashiyama but there’s just something about the snow monkeys that are unique and I love it! One day. I’ll save this post for the future! This post is such a visual treat. Thanks for sharing details about the JR EAST PASS (Nagano, Niigata area). I was happy to read that there is a special discounted pass available only to customers visiting Japan. With unlimited rides on the JR East trains, I like the flexibility of travel that this pass offers to family travelers like me. 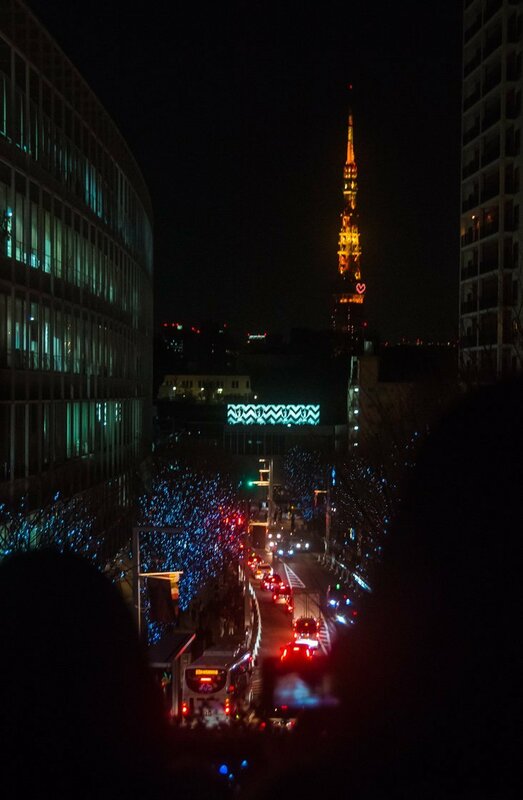 I’m so impressed by how much you saw in Japan in such a short amount of time! This guide will be extremely helpful when I visit there one day!